Karamba Review - 100% Cash Match Bonus on 1st Deposit! If you’re wondering what happened to those incredible nights out you use to have, with dancing, cocktails and the chance to shake your booty; then fear not because Place a Bet Online are bringing the party to you through an amazing gaming site called Karamba. You’ll instantly be hit by the attractive images on the site including one of the coolest parrots around! But add in the fact that Karamba is available on your PC and Apple devices, then you’ll realise that you can take the fun with you wherever you go; it makes walking the dog much more exciting. •	Large range of banking methods including Zimpler. Karamba offer the hottest games around including casino, classic fruit machine games and the ever popular featured slots such as Gonzo’s Quest, Starburst and Guns N Roses. To ensure that you feel special, Karamba aim to treat you like their guest of honour by offering incredible welcome bonuses on your first three deposits. 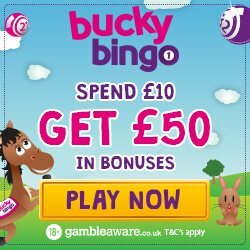 When you’ve made the decision to register and deposit you’ll be delighted to hear that you’ll automatically receive a 100% cash match bonus and 20 extra spins (bonus code KAR100). 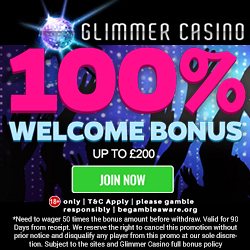 The 1st deposit bonus is up to £200 and basically means that you’ll be doubling your money; i.e. adding £50 means you’ll end up with £100 in your Karamba account. The following day (day 2 exclusive) you’ll receive a further 40 spins when you deposit a minimum €20. Then a final €20 deposit on the 3rd day will bring you 40 extra spins and an amazing bonus surprise; who doesn’t love a surprise! The Daily Karamba – How does spins or bonuses sound? Well image if that was every single day. That’s exactly what you’ll receive when you’re a Karamba member, simply log in each day and who knows what will be in your account. Friends with Benefits – Being loyal is always a good thing, but even more so at Karamba. Regular players not only get the daily bonuses, but you can enjoy gifts, tournaments, chat bonuses and giveaways; that’s one generous bird! Monthly Cashback – Bonus credit simply for playing? Yes please! You’ll receive extra bonus credit the more you deposit and play, as a thank you for being a loyal player. Spins Fest – If the above bonuses aren’t good enough for you, then let’s add in the fact that they regularly give away spins on top pay out games, simply for the hell of it!! Arriba it’s party time. For those of you who love to keep up on the latest news and gossip via social media, make sure you check out Karamba on Facebook and Twitter. You’ll not only be able to meet other gaming fans, but they also bring you updates on news and bonuses. Because this is such a socially inclusive site, Karamba also offer a gambling magazine with amazing quizzes, entertainment news, gambling tips and tricks. The magazine is delivered to your door, so you can enjoy a bit of bedtime reading on our favourite subject. As you game on Karamba you’ll automatically earn reward points which will excel you through their VIP ladder. There are 7 levels to the ladder including new member, bronze, silver, gold, platinum, premium and prestige; each offering bigger and better bonuses. 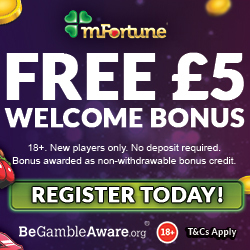 Some of these bonuses include higher deposit and cash out limits, birthday bonuses and VIP live tournaments. The number of points rewarded will depend on the amount deposited and the game played, but the standard is 1 point for every €20. Although Karamba like to give away points for special promotions or as gifts, so you never know when your balance will increase. Reward points can be converted into additional gaming credit, so it’s a win win! Karamba accept a huge range of banking methods including Neteller, Skrill, Credit/Debit Cards, Entropay, Paysafe Card and our favourite Zimpler. If you’ve never heard of Zimpler then prepare to be blown away. This banking method allows you to add money to your account merely using your mobile number. In today’s society of fraudsters and hackers this I’m sure is a blessed relief, but add to this the fact that you have 14 days from the point of adding the credit, to pay it off! When you’re ready to deposit simply click on the Zimpler banking method, say how much credit you want to add and Karamba will take you through to the Zimpler site. Then enter your phone number and you’ll receive an SMS with a link to your account. Your deposit will instantly be available and you’ll be informed when the payment is due. No payments are charged on your phone bill or by using your phone credit. You can deposit between the minimum amount of €10 and maximum €800, which means plenty of fun ahead! So if you’re ready to party with the elite, simply head on over to Karamba and enjoy incredible gaming from the comfort of your own couch!